In the first four years that the Department has had the hovercraft, it has become a critical part of their search & rescue operations and has been credited with saving five lives so far. Two of those rescues earned Lifesaving Medals for the first responders conducting the operations. In one of these rescues occurred when a 63-year-old man broke through the ice while snowmobiling on a lake near the mouth of the Cheboygan River. Michigan State Police Sgt. Mark Tamlyn said the man’s body temperature had quickly fallen to 89 degrees. He credited the quick response by search and rescue personnel – and the hovercraft – for saving the man’s life despite blowing snow, poor visibility, icy conditions and open water. 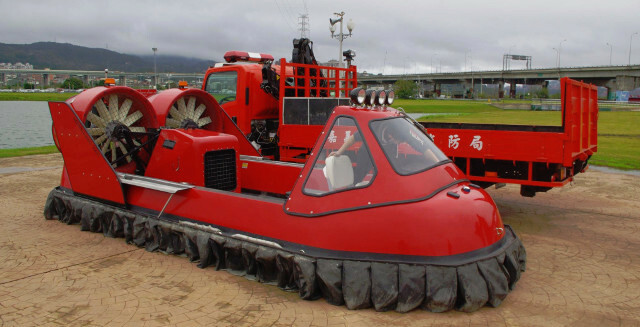 Besides its critical role as a lifesaving tool, the hovercraft also fills a secondary role in crime prevention. The hovercraft and its crew collaborate with Border Patrol units to search the Mackinac Straits for drug smugglers.